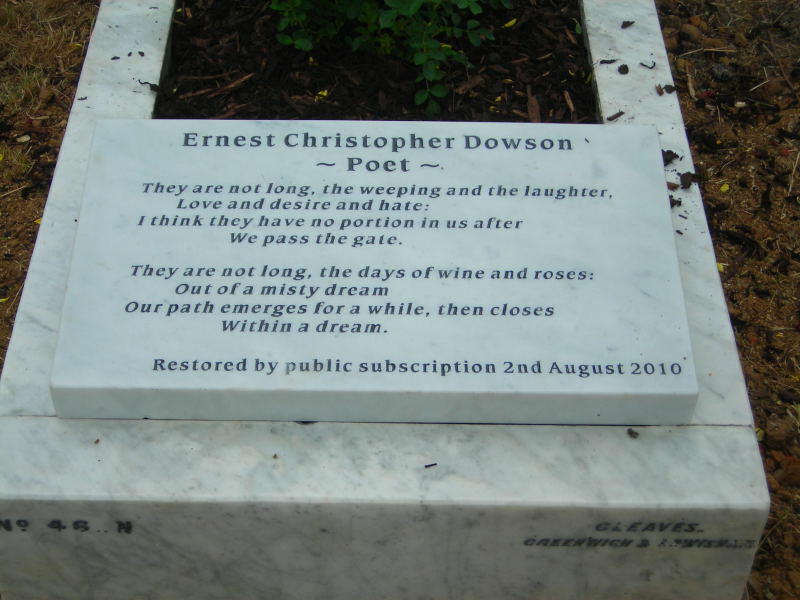 On Monday 2nd August there was a short ceremony at Brockley and Ladywell Cemetery to mark the restoration of Ernest Christopher Dowson's grave on the 143rd anniversary of his birth. 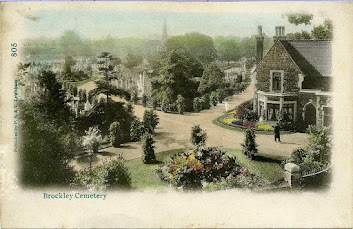 The original memorial has been restored as fully as possible and a new stone at the foot of the grave quotes two verses of his poetry from Vitae Summa Brevis.. 'They are not long, the days of wine & roses'. The restoration was paid for by public subscription after a Facebook page was set up in his memory by Philip Walker. Attendees were an ecletic mix of local authors, poets and historians. 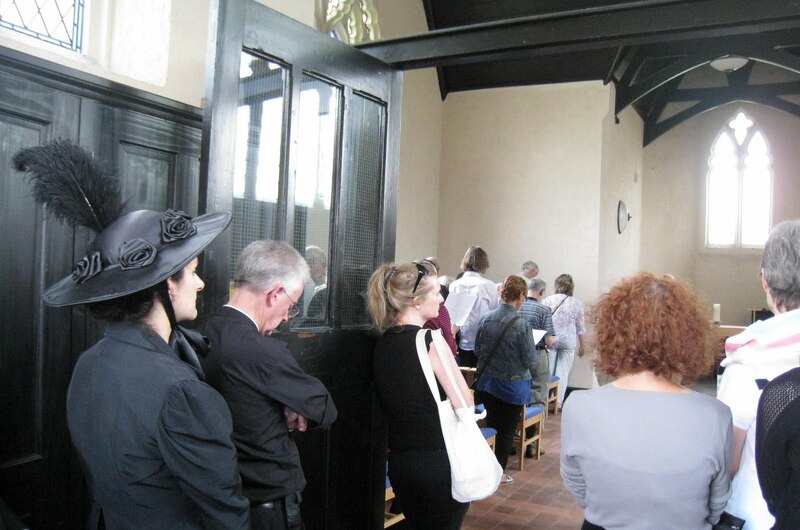 Father Michael Lovett (Parish Priest of St Mary Magdalens, Brockley) conducted a Service in the Dissenters Chapel after author Jad Adams (Dowson's Biographer) spoke movingly to the seventy or so present about Dowson's legacy at the graveside. He had earlier spoken on the Radio 4 Today programmme together with local poet Katy Evans-Bush. The music of Delius(to words by Dowson) wafted into the Chapel. Following the service many of those in attendance decamped to the Brockley Jack for an informal reception. FOBLC's Mike Guilfoyle regaled those present with Dowson's poem 'Dregs' ..suitably delivered! 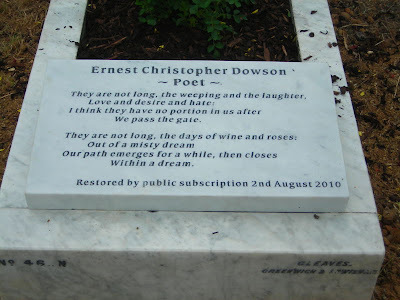 Several of those who had made the effort to be present came from overseas (including a family from Italy whose aim is to see Dowson translated into Italian). Also present was an admirable representative of the Aubrey Beardsley Society who had travelled from Brighton dressed in contemporary funeral garb and dispensed shortbread with a Dowsonian brio! The absinthe tipple did attract one or two of the hardier visitors. A truly splendid day and a day that will no doubt generate newly found interest in Dowson's lasting legacy and his literary works for this ' poor wounded fellow' (Oscar Wilde). 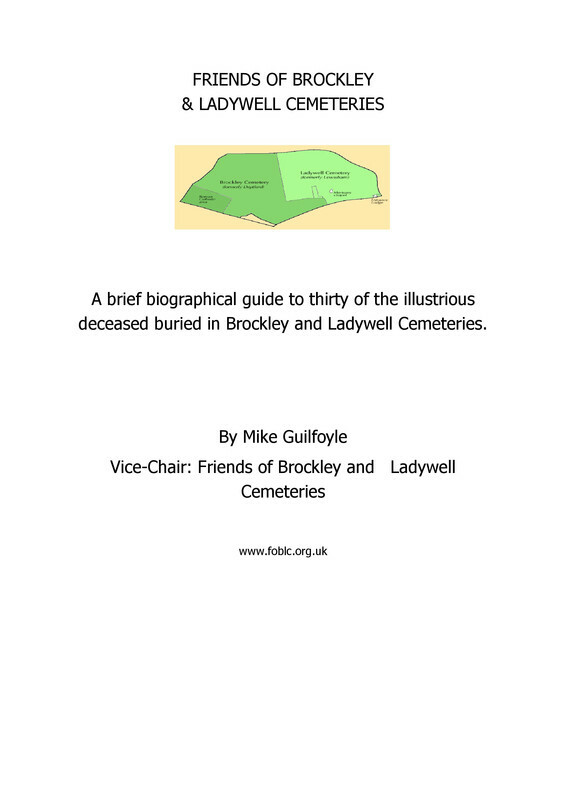 Hear the Radio 4 piece here - is this the first time the Brockley & Ladywell Cemeteries have ever been on national radio? See also www.ernestdowson.com and Deptford Misc Blog for more about Ernest Dowson.